Note: I will be update this thread with every new video I make. Hey, everyone! Just wanted to share the first episode of my Cave Story let's play that I just started! Hope you all enjoy! Thanks for sharing this with us! The audio quality was high, and I really liked your enthusiasm. This is also convenient for seeing what the switch version is like. If you mind i'm gonna a little critiques of you're video, not to be mean! So to start off the beginnings messages, I think it's a really good idea to shut up on the studio pixel cutscene, it make a calming moment for the viewer then someone yelling : YO EVERYONE MISTER.HEX HERE!!! Oh and really good way to show that the game is awesome :3 but don't do too much it can distant the viewer which can be a bad thing. Other then that, great start *subscribe*. Thank you so much for the advice! I love getting advice and being critiqued as it helps make my videos better. What did you mean by "WHAT THE SONG???"? I put the link to the song in the description. make a calming moment for the viewer then someone yelling : YO EVERYONE MISTER.HEX HERE!!! To be honest I personally dislike the kinda people that have the strange need to yell their name loudly at the beginning of a video. I mean I don't tell my name I just say it enthusiastically. I agree with Scootch. For one, he wasn't really yelling, and even if he spoke in a somewhat raised voice, it wasn't really in a way that I would consider annoying or over-the-top. Introducing yourself at the beginning of a let's-play the way he did it is fine. 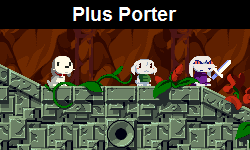 I know that this is off-topic, but I would like to add that Scooch's second Cave Story video is online, so that he doesn't have to. I was uploading a video myself, and I get the notifications for him so I saw it in the first couple of minutes of it being released. I like the second one even better than the first one, although my personal opinion is not to tell the viewers spoilers about the game, but it was still amazing. Hmm, okay, thanks for the tips, Zxin! Also, thanks, Mack-In-The-Box! I don't think I spoiled anything... Did I by accident? For those who don't remember, last year, the guys behind the youtube channel Cool20 posted their first let's play video on the forums and to give themselves essentially a shout-out. (that's not to say 300 views is impressive and it's their 6th most popular video), but I feel a lot of those views came from this CSTSF shout-out, that it sorta suckered people into subscribing to them. 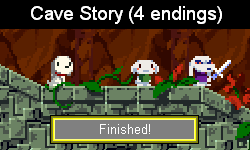 And afterward they never do anything else with Cave Story, they promised a curly run/true ending but it never went anywhere. Hell, their final episode came out in March and they basically vanished from the forums after July, never posting on anything else other than that thread; never interacted anywhere else nor stayed to do anything else. The point I'm trying to make is, I don't want this to turn into another view-grab situation. Sure cool20 at most got a couple hundred views and 100 subs at most before disappearing 4 months ago. No seriously, that's what happened. But if you're here to just promote your let's play, I do encourage you to stay and interact with the community like any other cstsf-er. And if your let's play is just you posting for fun, then that's great! I'm just extremely paranoid about this sort of stuff. Well, no, nothing except that Igor was an enraged Mimiga, and the new player wouldn't know that yet, but that's all. Well I am here to promote my lp, yes, but I also wanted to connect with you guys and have fun, as you seem like an awesome community! Ah, I see, though I did say evil Mimiga and not enraged. I thought it was just kinda obvious he was evil now, even if we don't know why yet lol. Anyway, my bad! I have a new video out! Exploring the Bushlands! Good episode, me personally, the Missile Launcher with even 15 missiles can take out Balrog pretty easily but the fireball is a good substitute and I forget how much damage that can do, heh. Yeah, the missiles work well against like every boss lol. Well yeah definitely, but I always felt like the Missiles is a boss type weapon and the fireball to be used against slopes that Grasstown is filled with lol.